Please check out my new article for BonAppetit.com. 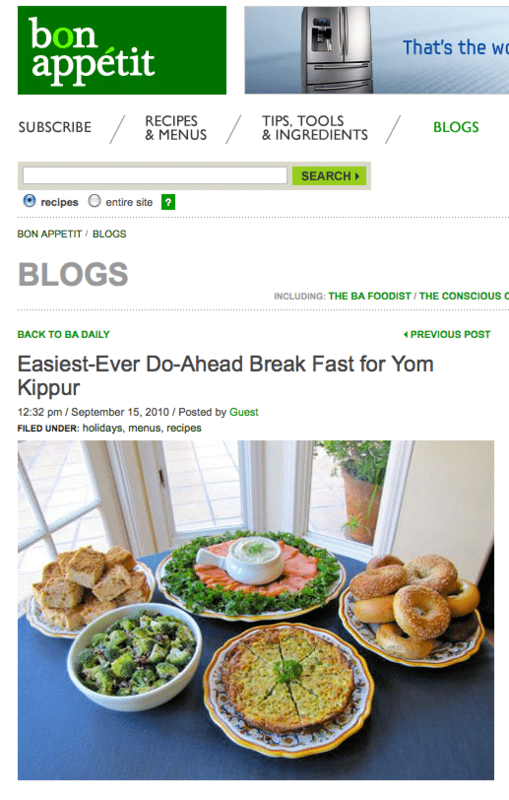 The post features an easy Break-Fast menu for Yom Kippur, including three new recipes. Click the link below to read! From 1 shiksa to another, I made the crustless quiche and it was absolutely delicious and very easy to prepare. Thank you for another winning recipe. OK so this other kugel I was thinking of making has a stick of butter in it. 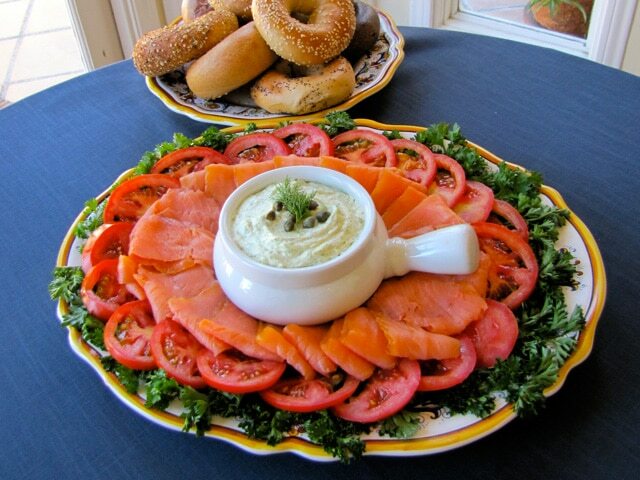 Yours looks much healthier, especially if I use low-fat or fat-free cottage cheese, cream cheese, and sour cream. So different! I was hoping you’d post some recipes for the break fast, we’re going to my girlfriend’s mom’s house and it’s potluck. This is fantastic! Congrats, Ms. Shiksa!